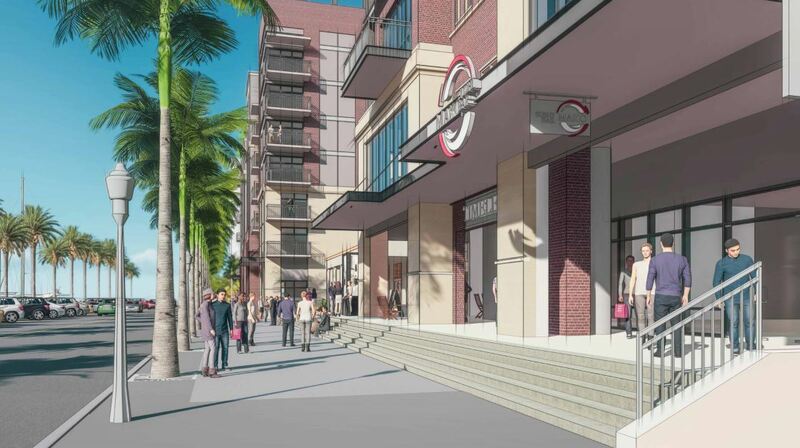 Rendering of development around and including the Hall of 50 States in Fort Myers. 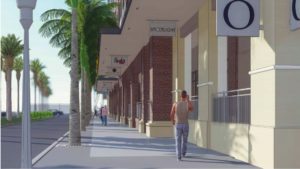 More big changes are in store for downtown Fort Myers and the historic Hall of 50 States in at the heart of it. With cracks and fading paint the age of the iconic building are hard not to notice. A new proposal to develop the land surrounding the property and the hall itself are in the works. Below are the proposed designs for the area and what the Hall of 50 States would look like after the renovation. 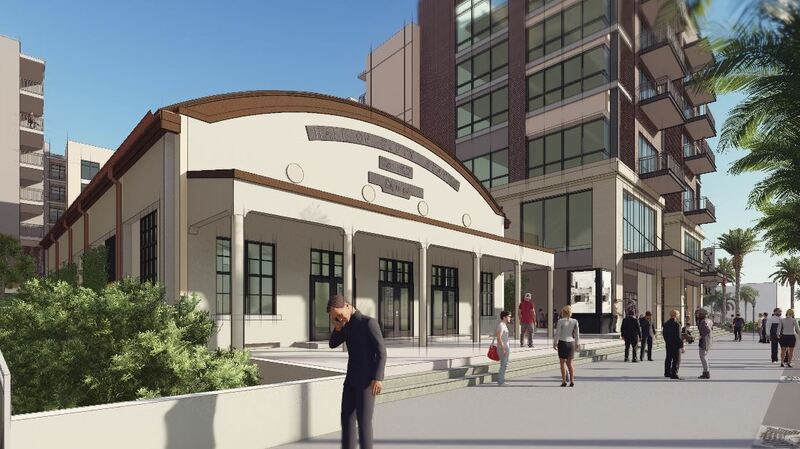 The Historic Preservation Commission just talked to the City about making this a reality. The plan is to build towering buildings around it. 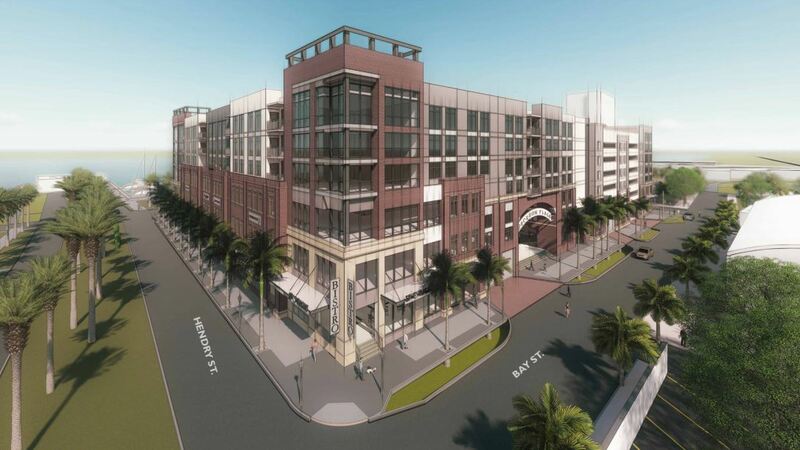 That includes a seven story building featuring apartments, retail stores and offices. The current lot is between Jackson Street and Hendry Street to the east and west, respectively; and Edwards Drive and Bay Street to the North and South, respectively. 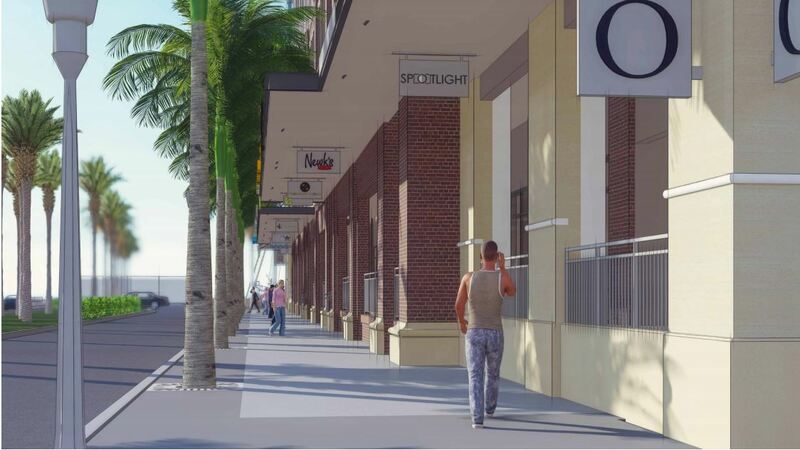 Right now, 205 units are slated for the building that include studios, 1 bedroom, and 2 bedroom apartments. It’s neighbor would be the brand new Luminary Hotel to the west. 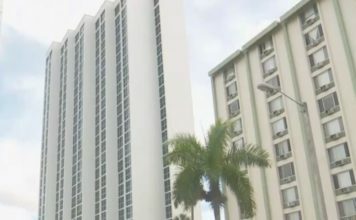 The construction for that hotel is already underway despite the looming legal battle over the land. 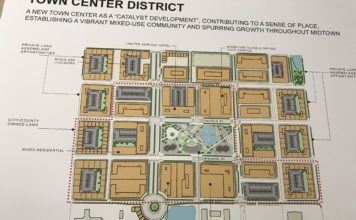 What do you think about all of these plans.